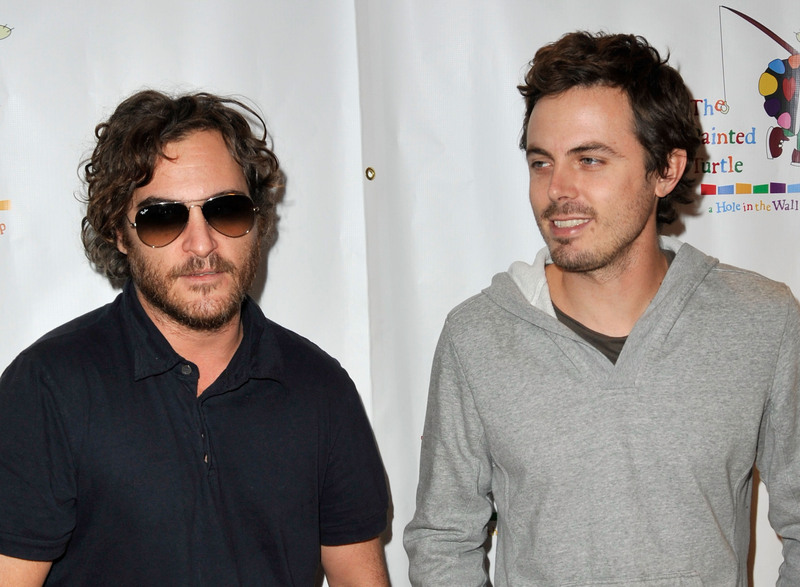 Exciting news for fans of Joaquin Phoenix and everything that the Affleck brothers have ever been apart of in Hollywood: Casey Affleck and Joaquin Phoenix are teaming up for Far Bright Star, a movie that Affleck is directing and co-producing. The two are definitely far from strangers. They’ve worked together in the past and also happen to be family (Affleck is married to Phoenix’s sister Summer). But the collaboration that the pair is most famous for is the 2010 film I’m Still Here. You know, that movie that probably traumatized you with its faux-documentary style shots of Phoenix being the laughing stock of the rap community and getting sad blow jobs from hookers in the bathroom. I mean, that movie was brilliant, but I am still overcome with a wave of pity and horror when I think about the hour and a half that I spent believing it was actually real. Needless to say, Far Bright Star will be a far cry from their last project together. Aside from having an amazing title, the film is pulling a complete 180 from I’m Still Here. Gone are the hijinks and mocking tone of Hollywood. Here to stay — at least for now — is a western drama that is based on the 2009 novel by Robert Olmstead. The film, like the novel, will follow aging cavalryman, Napoleon Childs, as he commandeers a group of poorly trained soldiers to hunt down Pancho Villa in the mountains of Mexico. After being attacked and left for dead, the few men remaining are left to struggle to survive in the dessert. Phoenix will play the part of Childs. A little different, right? A parody of fame-obsessed Hollywood on one hand and a straight up survival drama on the other. It’s clear to me that with this choice Affleck and Phoenix are showing not only their incredible range, but their incredible talent. They could probably do funny all day if someone asked them to, but clearly they are more interested in telling compelling, smart, and thought-provoking stories. And Far Bright Star is just another to add to their rap sheet of collaborative work that does just that.